When NETSCOUT came to us, they were looking for ideas to launch a new product, their S-Blade Pro, which had just been favorably reviewed by an industry analyst in a recent test report. 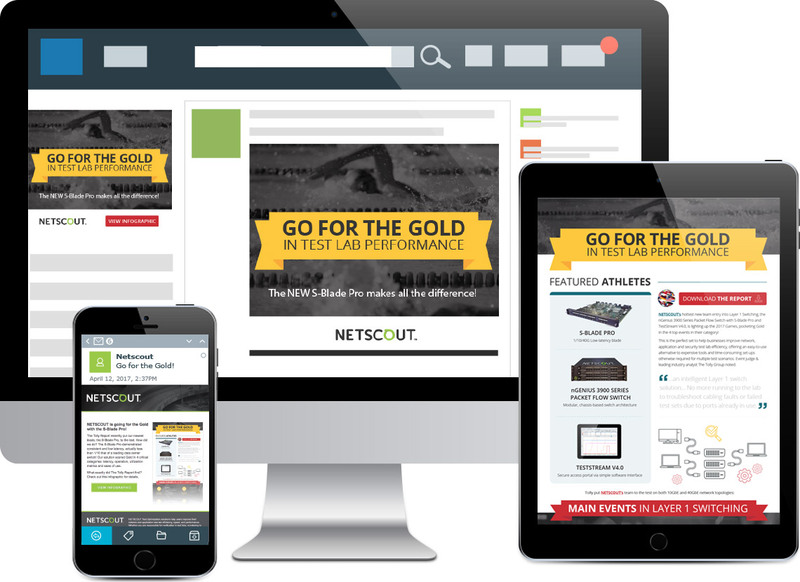 Working with NETSCOUT, we developed an infographic which featured key concepts from the test report, and drove to the gated report for lead generation. To promote the infographic and ultimately the report, we developed an email blast, a banner ad for a landing page, social media posts, PPC text ads and email signature copy for the sales team to use. GOT A CHALLENGE? WE’D LOVE TO SOLVE IT! © 2019 All Around Creative. All Rights Reserved.